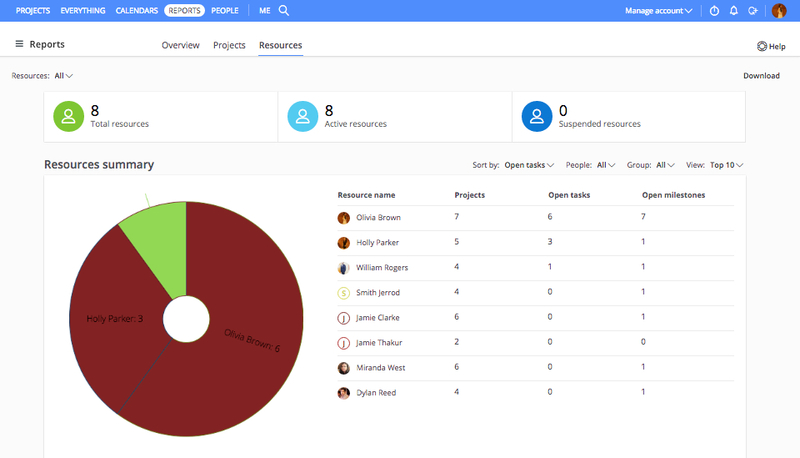 ProofHub’s project reporting software provides a clear picture of how the resources are being utilized, how the projects are progressing so that you can get rid of the inefficiencies in the projects. Representing all the critical project information in beautiful graphical format, our project reporting software simplifies resource allocation within projects to spot out inefficiencies, track project progress and increase productivity. With ProofHub’s online reporting tool you can get a clear picture of everything related to your projects. From active projects to open tasks, overdue tasks and milestones across different projects, you get to see everything at one place. With slipping projects in our reporting tool you get to know about the projects, which might be running beyond their deadline because of overdue tasks and milestones so that you can iterate the plans and get them completed on time. Get to know about the progress made in each project with project progress snapshot in our online reporting software. It gives you a clear picture of the percentage completion of the project, so that you can manage resources in the project accordingly. How many tasks are completed in the project? How many are ongoing? And, how many of them are overdue? Tasks reports in our online reporting tool give you detailed information about all these for an in-depth analysis of the projects. ProofHub’s reporting software helps you manage project deadlines more efficiently by letting you keep count of open and overdue milestones. So, you can better allocate resources to achieve milestones quickly and finish projects on time. 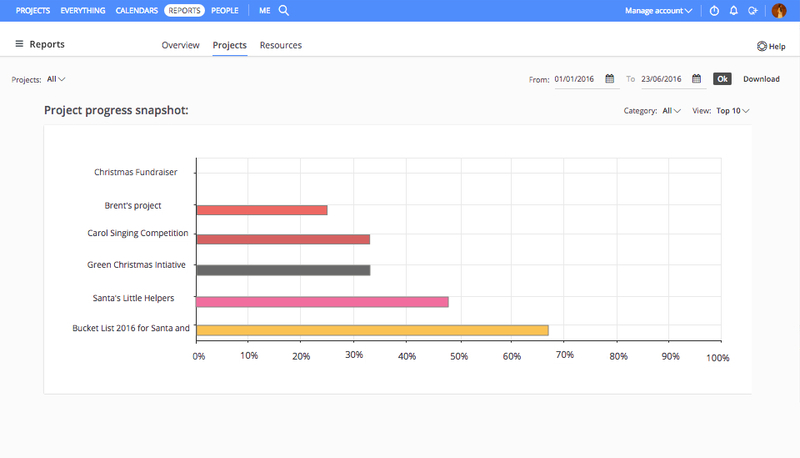 ProofHub’s online reporting tool gives you a graphical representation of all your resources, and how you are utilizing them across different projects; bringing together all your resources at one place. You can also get a breakdown of individual resource reports as well. 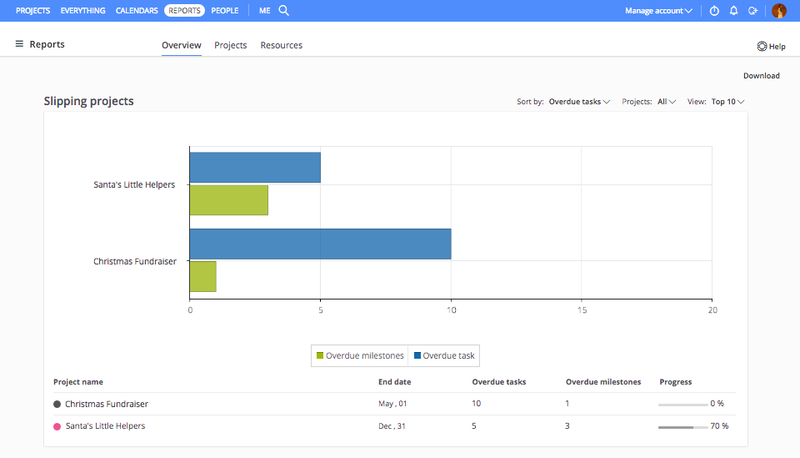 Burn up charts in our reporting tool represent the number of tasks completed, against the total number of tasks assigned so that you can know about the pace at which tasks are being completed in the projects, and iterate if progressing slowly. Compare your actual time spent on tasks against the estimated time set during the planning phase using our online reporting tool. This will help you to provide better estimates to clients in the future. That’s how ProofHub reporting software helps you stay on top of project and resource information. With proofhub you can organize all your thoughts, projects, task, people, files, etc... in a simple clean manner. I have 3+ different companies with multiple projects going on in each, each company has several people using proofhub, proofhub allows me to keep a bird's eye on EVERYTHING. And then there is the Awesome Gantt Chart. The Team at Flyhtlab.com loves proofhub!